Factory Trained, fully Insured, NATE Certified, Background Checked, Drug Free, Courteous and skilled. These are necessary values to you and we promise you will have all of them and more if you permit Air McCall to serve you. Each season, many homeowners experience air conditioning malfunctions that could have been prevented. To protect your home and HVAC system from interrupted comfort, costly repairs, and system replacement, we suggest a convenient maintenance set up from Air McCall. Our technicians ar NATE-certified, that is that the highest technical certification within the trade. we’ve the extensive training, practical experience, and complex tools necessary to take good care of your air conditioning system. Through annual comprehensive service, we safeguard your home and family from unseen dangers caused by improper operation. By maintaining your HVAC system frequently, you can save money, cut up to four-hundredth off energy costs, extend system life, and promote maximum energy efficiency. Stay cool with dependable, high-quality air conditioning service! The evaporator and condenser coil are two main components of your HVAC system that require to be functioning properly for efficient operation. Just one millimeter of dust on the coils of your air conditioner can decrease efficiency by up to 21st. With regular maintenance from Air McCall, you can improve system performance and enjoy economical and reliable comfort. Our team will guarantee coils are clean, so you can avoid restricted airflow, diminished heat absorption, and reduced energy efficiency. If components are troubled to realize set temperatures, wear and tear can result in malfunctions and shortened service life. Regular cleaning’s from Air McCall are fast, affordable, and extremely useful. If members of your family are suffering from allergies or respiratory disease, your cooling system could be contributing to that matter.. Several diseases are either the result of, or aggravated by, contaminated indoor air. air conditioning vents give a breeding ground for black mold, particularly when condensation forms in the coils and ducts. Black mold can result in severe respiratory symptoms, and you could be spreading microscopic mold spores throughout your home every time you activate your air conditioning. Skilled cleaned HVAC systems work more effectively, trap sources of allergens, and defend the air your family breathes. When you call Air McCall for an air conditioning tune up and cleaning, our licensed technicians will help stop the growth of this bacteria. Through elaborated maintenance, we guarantee your indoor environment is a healthier and easier place to live. Like any other appliance in your home, your heat pump (which both cools and heats) needs regular maintenance. correct operation saves you money. When compared to neglected equipment, a well-adjusted heat pump will save between 100% to 25th off your energy bills. Dirty filters, coils, and fans prohibit airflow through the system, hampering performance, and probably damaging the compressor. Without skilled service, your heat pump will cost a lot of to run, succumb to a lot of frequent repairs, and fail to supply satisfactory comfort. Regular maintenance from Air McCall prevents hassles, so you can avoid costly surprises and enjoy priority service. Turn to our trusted A/C contractors for your services! 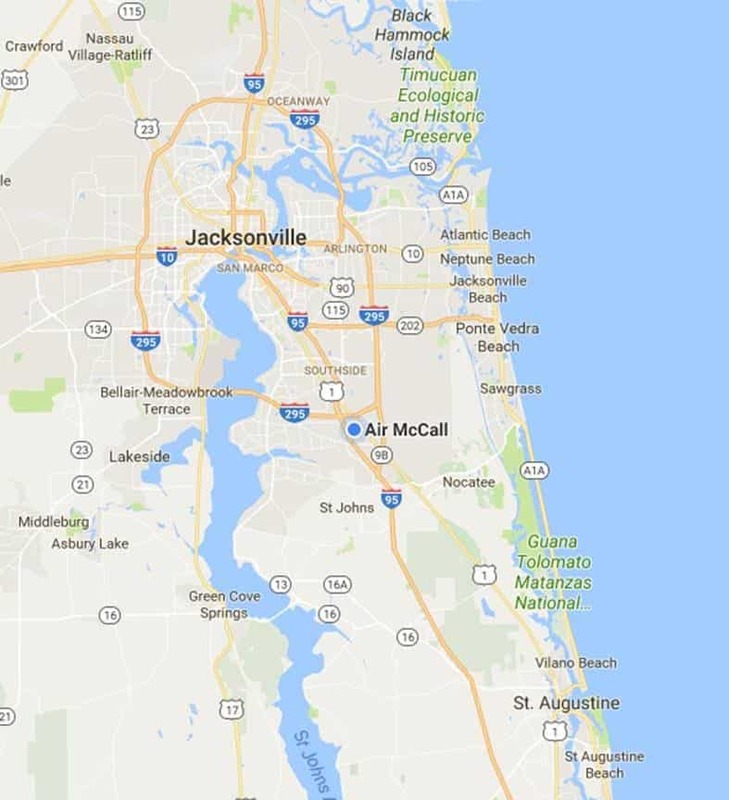 Air McCall is a local, family owned HVAC provider, with firsthand knowledge of the St. John’s, FL area weather, and the unique challenges it presents. we protect your family, home, and comfort systems with the best quality products and most experienced workers. As a Carrier factory authorized Dealer, our team of technicians receive continued training, staying up to date with the most recent features, equipment, and technology. By going above and beyond Carrier’s high standards for client service, business practices, and expertise, we have been awarded the Carrier President’s Award three times. Our technicians are NATE-certified, and we uphold an A+ rating from the better Business Bureau. Our job is to create positive your cooling system functions at its best. We might like to came upon a straightforward maintenance plan to guarantee reliable, economical, and safe performance. we understand your busy schedule. Let us take on the upkeep of your system and create it our priority. You will enjoy efficient equipment, discounted labor prices, and priority attention. you will avoid inconvenient repairs, degraded air quality, and possible property damage. when you call Air McCall, your satisfaction is our commitment.